In every business transaction, an agreement is used to ensure that the rights and responsibilities of all parties involved will be documented. This makes the professional relationship of entities within the agreement become more transparent, credible and successful. When developing an agreement, it is important for you to be reminded that there is a wide scope of terms, conditions and limitations that can be incorporated in different transactions. Hence, it is essential for you to be guided by references to ensure the effectiveness of the document that you will create. 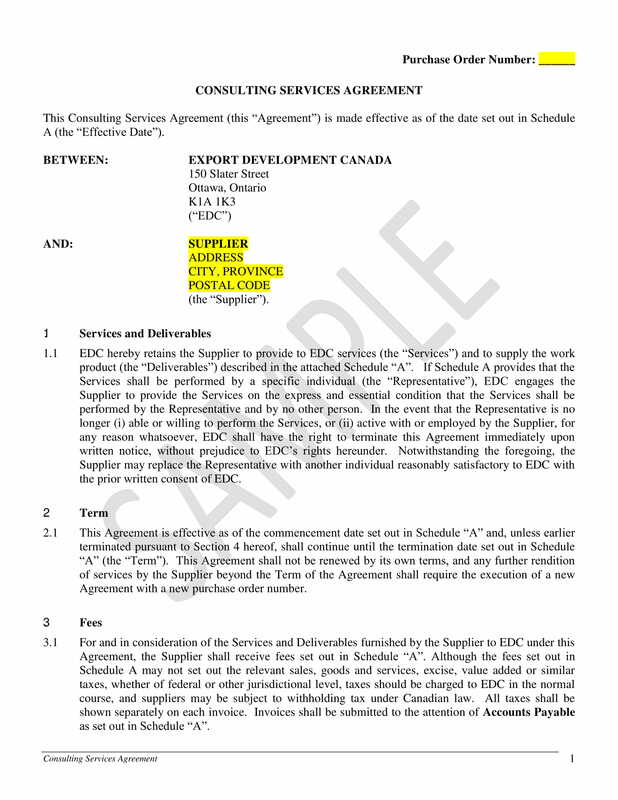 Browse through the downloadable agreement examples that we have for you in this post. 1. Most agreements have the same elements no matter what the purpose of their creation is. The difference occurs with the content that will be incorporated to those elements. 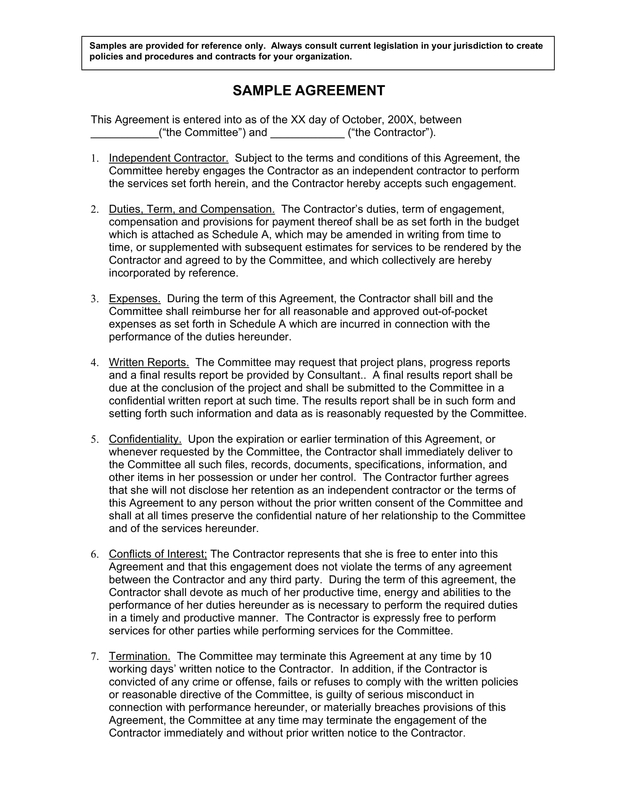 As an example, agreements usually have termination clauses. However, not all termination clauses contain the same grounds and weight of termination. 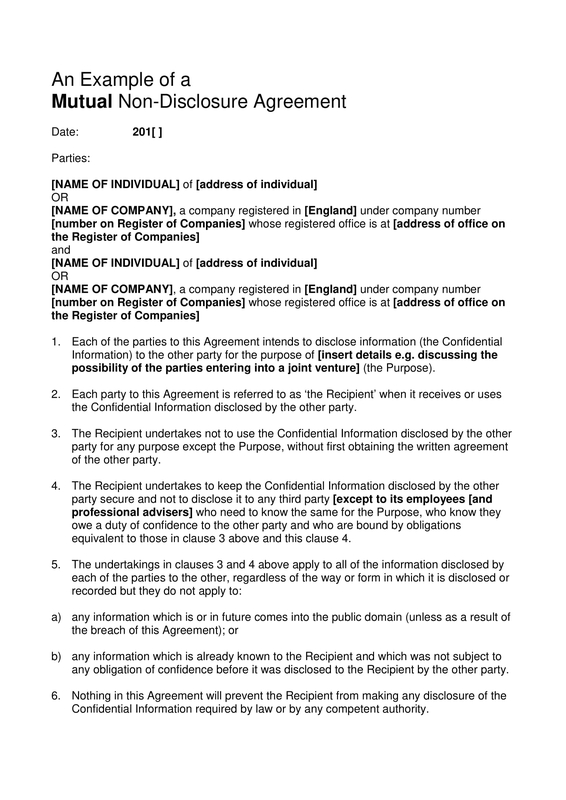 You may also see business agreement. 2. 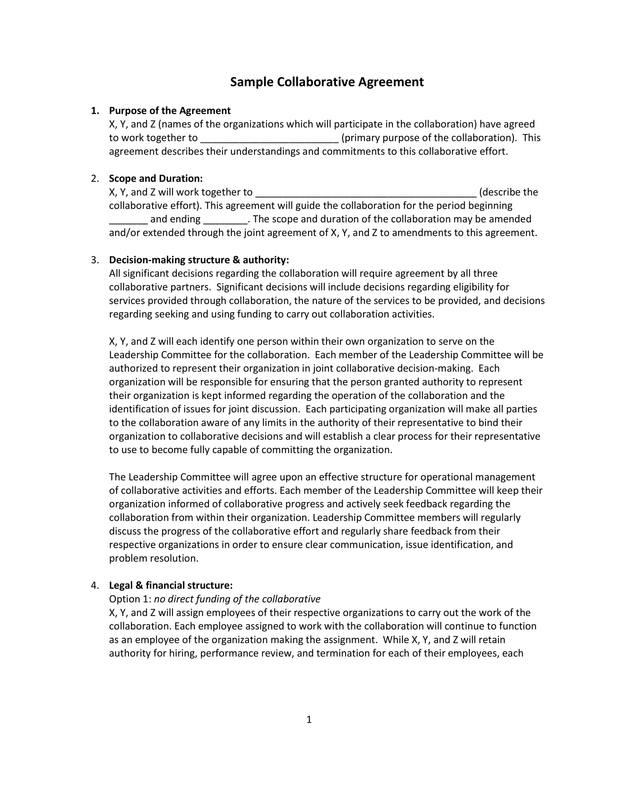 Agreements can be used in different industries and various situations. 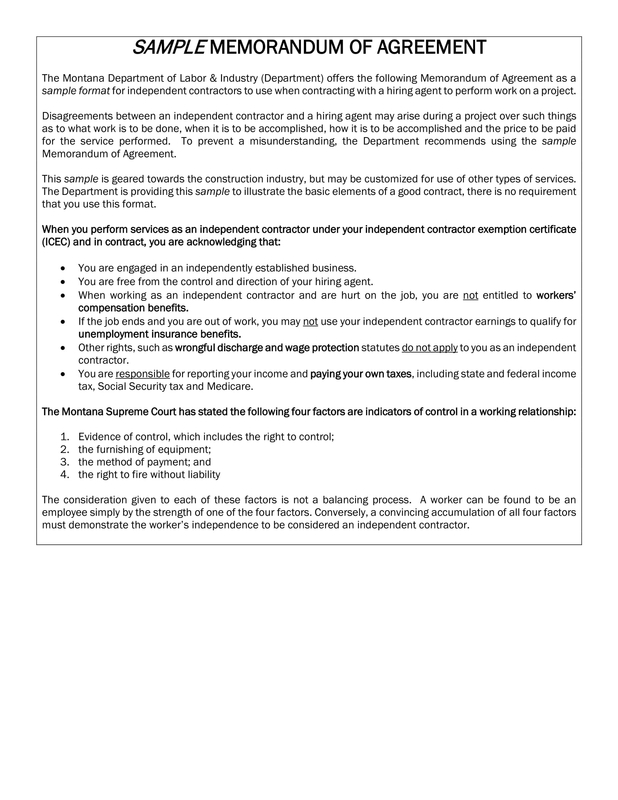 You can use an agreement if you want to strengthen your professional relationship with clients or customers, if you are transacting with a vendor, if you want to enter an activity with an independent contractor, and even if you would like to partner with other businesses. 3. Agreements can help you protect your rights and interests. Through agreements, you can easily have a valid proof regarding your claims or statements. This is the reason why agreements are usually created in every professional and corporate transaction. 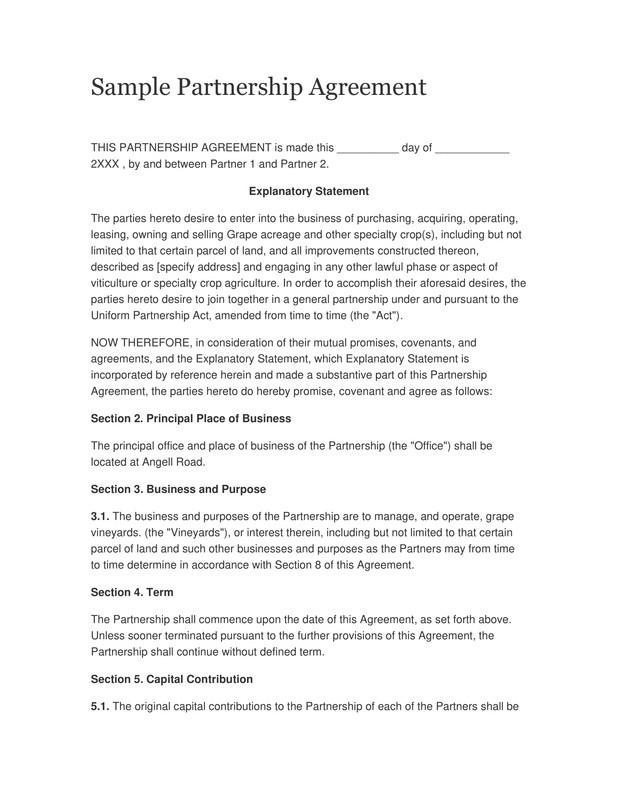 You may also see partnership agreement. 4. Agreements are enforceable. This means that everything that is written on it must be honored by all the parties who signed the document. Specific legalities, depending on the agreement made, can cause court trials if not followed and implemented. 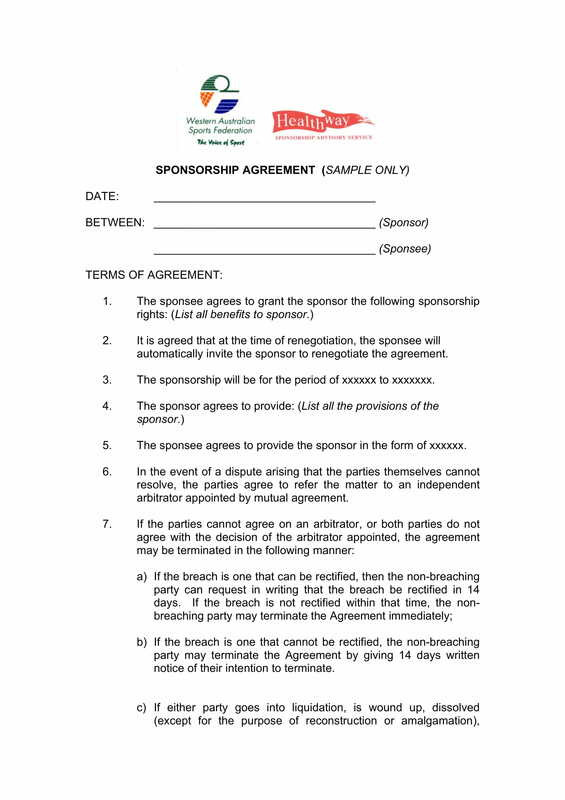 May it be sponsorship agreement examples or any other kinds of agreements that you will be working with, it will be helpful in your part if you will make yourself aware of the elements that can affect the effectiveness and efficiency of the document that you will come up with.You may also see franchise agreement. 1. It is important for agreements to be concise and direct to the point. All terms and conditions should be stated in a way that parties and involved entities can easily understand what it means especially in relation to their participation in the transaction. 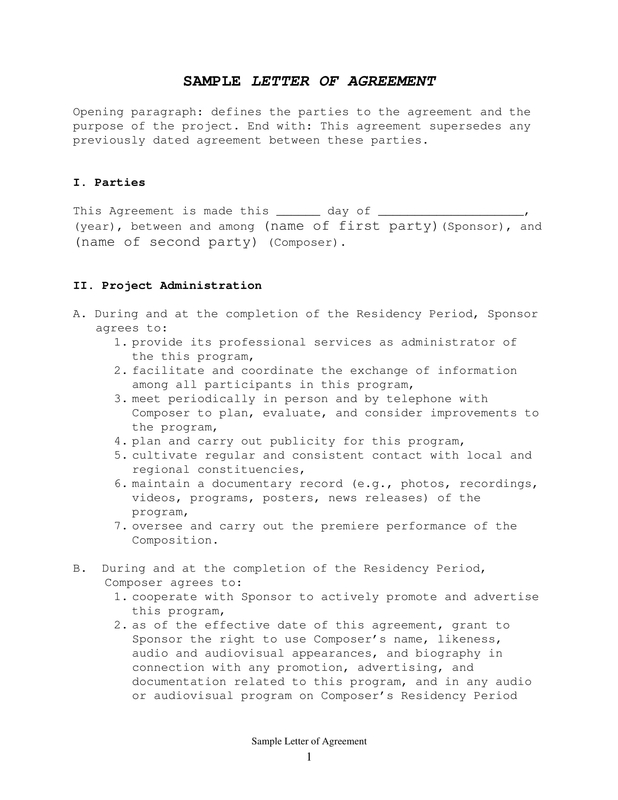 You may also see management agreements. 2. Have a well-thought preamble. 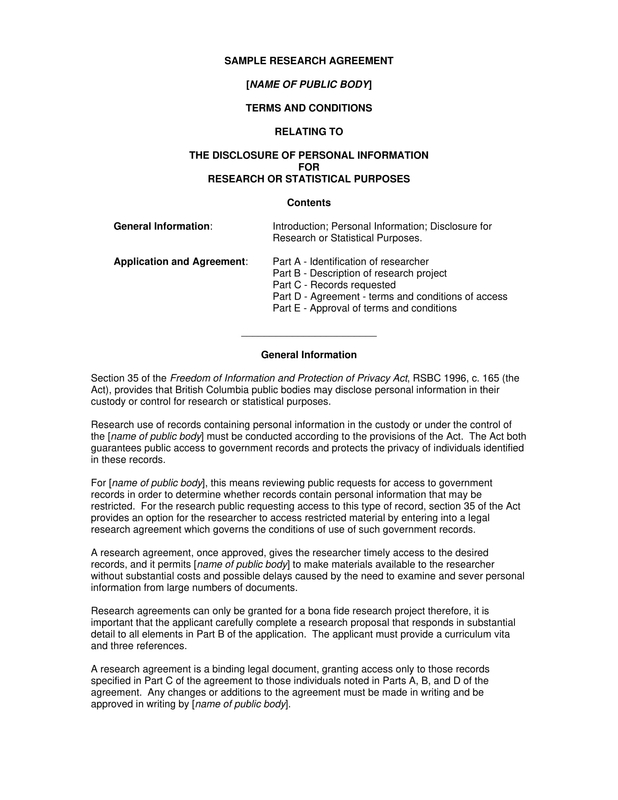 This clause serves as the introduction of the agreement. 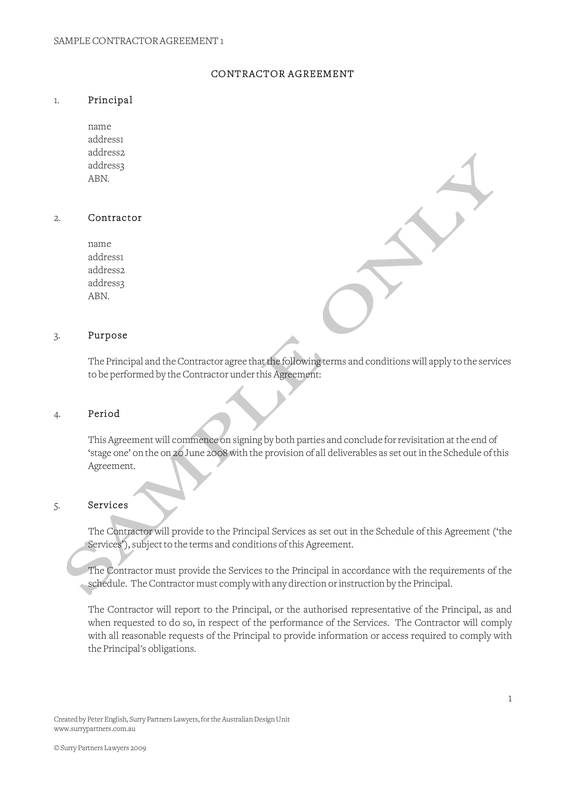 If you want to have a preamble or recital that is effective enough, then you have to ensure that your statement in this part of the agreement can explain the reason why the agreement is necessary for a transaction, a negotiation or any activity. 3. Identify the kind of agreement that you will create. This should depend on the transaction that all parties would like to be involved in. It can be easier for everyone to evaluate the agreement accordingly if there will already be a discussion before the development of the actual document. This is the reason why proposals are usually created first so that changes when it comes to agreement clauses can be done in a more efficient manner. 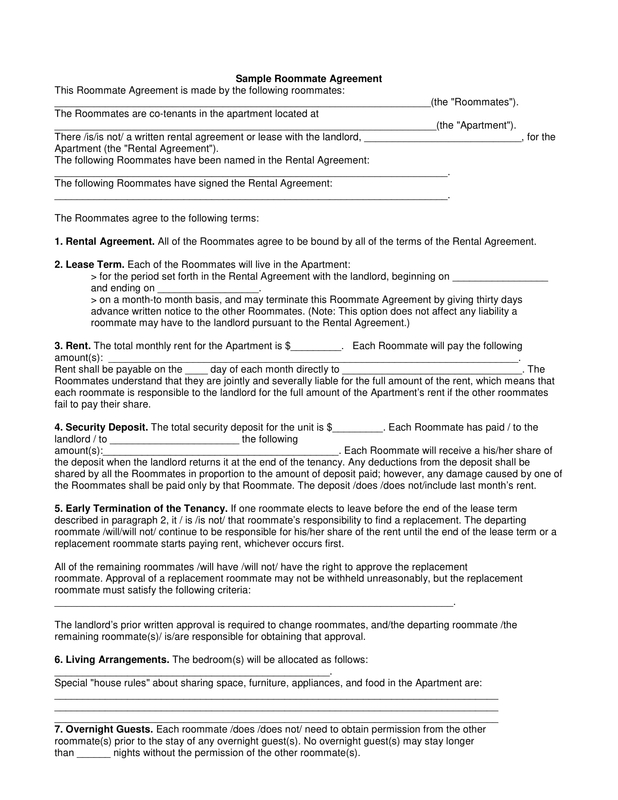 You may also see roommate agreements. 4. Be keen and selective with the language and tone that you will use for the agreement. Be as business-appropriate and as formal as much as possible. Especially in the agreement section, you should clarify all the terms agreed upon by all parties in a professional manner. 1. There should be clarity on whether there is a need for a written document or not. Even if some countries, states and entities practice the usage of agreements that are not in writing, we still suggest you to create one so that you can secure the safety of your rights and the proper implementation of your responsibilities. 3. There should be a measure of the agreement’s validity. Not all agreements are made for a lifetime execution, unless stated otherwise. It is important for the time duration of the agreement’s validity to be specified so that everything regarding its execution will be organized. 4. There should be value with the exchanges that are about to happen. One thing of value should be given by one entity to another so that he, she or they can get something that is also of value in return. This can be exemplified when an agreement is about a purchase where a specific item will be bought in exchange of a particular monetary value. 5. There should be a defined point of agreement. Parties within a transaction should be particular with what they have agreed upon so that there will be lesser instances and possibilities of misunderstandings. 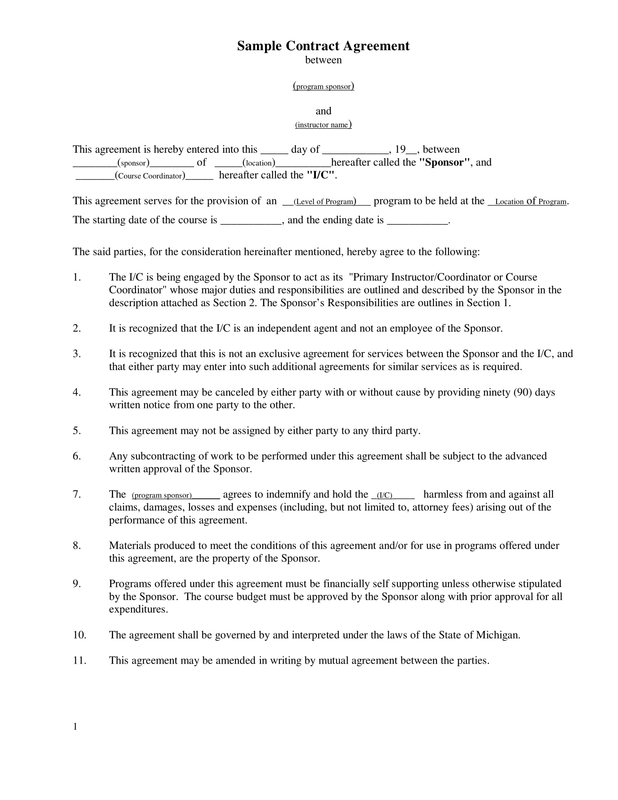 How Can You Benefit from a Written Agreement? Writing an agreement should not be considered as a burden. Though it may be hard to put together all the essential items that can make the discussion formal, enforceable and valid; having a written agreement can actually be an advantage for your business. One way on how you can lessen the difficulties that you can experience in the process of developing a written agreement is through the usage of a task checklist. If you will be well-guided with the plans that you will implement from the start up to the beginning of making an agreement, then it is for sure that phase and procedural steps organization will allow you to finish a written agreement with ease. 1. 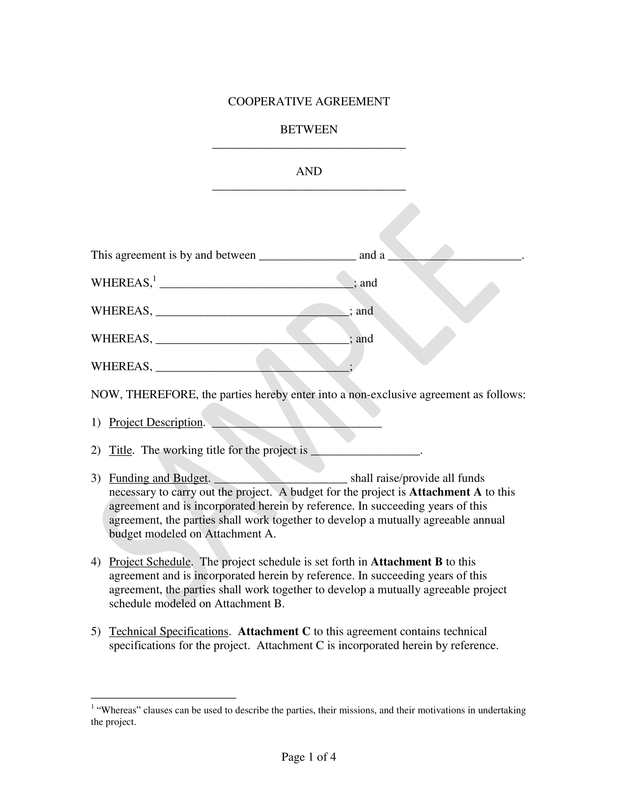 An agreement can be used as a reference or a proof for misunderstandings. Agreements that are poorly created can actually cause loopholes to be considered as valid points that people who would like to abuse the transaction can attack. Hence, precision, transparency and clarification should always be considered when making an agreement so you can truly benefit from it. 2. 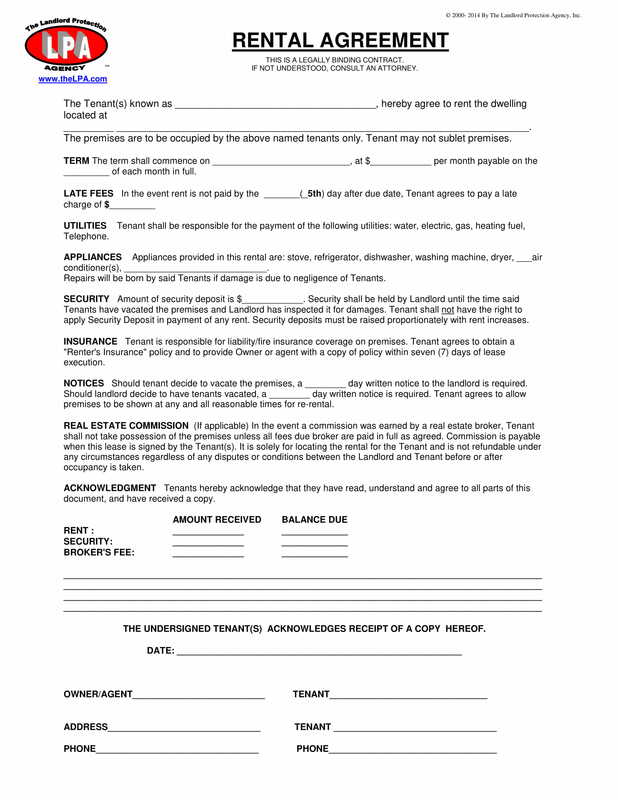 An agreement can make it easier for a transaction to be enforced. Since all parties are already guided by the regulations and call to actions present within an agreement, they can easily be held responsible for everything that they are tasked with. Having this set-up can make the transaction more secured and professional. 4. An agreement allows the transaction to be and to look more formal. Business agreements that are presented in this manner can efficiently showcase the brand or the image of the entities involved in the transaction. If proper presentation can be achieved, then it will be easier for entities to know that other parties are truly capable of doing their obligations. Do You Need Professional Help When Making an Agreement? One of your business checklist examples should include the development of any agreement that you will be needing in the transactions where you would like to involve your business in. Aside from saving a lot of time and effort, having one can also make you more confident to present your agreement to professional and legal consultants. 1. Agreements should always fit the demands and requirements of the transaction where it will be used. This is the reason why you should ensure that the uniqueness of your contract will not affect its effectiveness. No matter what the circumstance or instance it is where you will use the agreement, it is important for a professional to see whether the content of your agreement will not cause any harm to the parties involved in the agreement. 2. Experts in agreement development can efficiently assess the language that you will use in the development of the document. There are legal terms, jargon and contractual language that can actually harm you if you will not use it accordingly and appropriately. Seeking help for this matter can help you minimize, lessen, or even remove potential risks and future misunderstandings. 3. Letting a professional take care of the legalities of the agreement can conveniently give you the advantage of interpreting terms, limitations, scopes and conditions which are commonly the points within the agreement that can present risk development, misleading information and transaction loopholes. 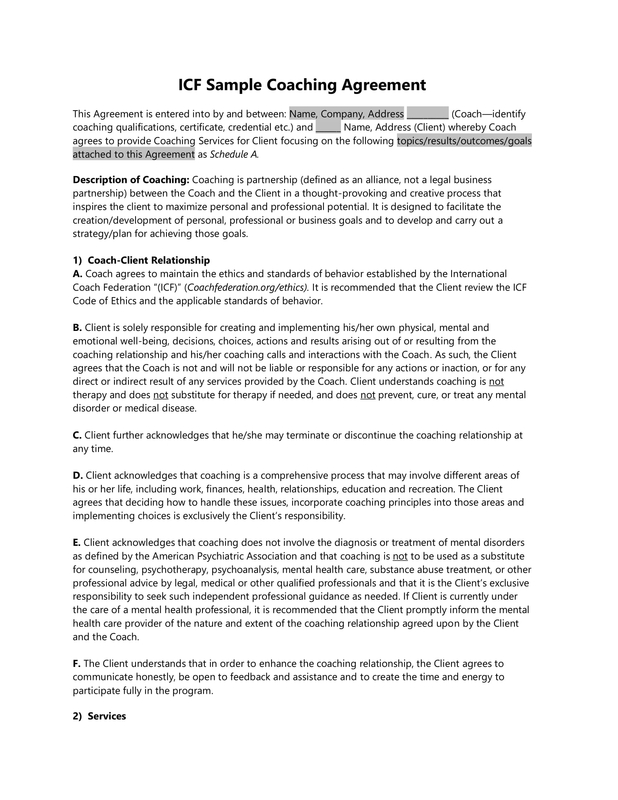 You may also see create offer letters and employee agreements. 4. Having a legal professional check on your agreement can make it easier for you to identify the benefits that you can get legally. Hence, this will allow you to maximize the positive effects of the agreement and the transaction without abusing the rights of other entities that you are working with. If benefits are made available for you and all parties, then it is most likely that the activity will be a success. 5. Your agreement, once reviewed professionally, can remove the vulnerability of your business within the transaction. This will give you higher chances of protecting your resources from disputes, in any case they arise in the future. 6. A legal professional, an attorney for example, can help you to assure that the agreement that you have made is valid. If the entirety of the document can be evaluated first, you can secure the fact that your agreement is usable, defensible and legally binding. 1. There should always be clarity when it comes to the specification of the agreement content. Always state the offer presented to clients or partners as well as the clear acceptance of the offer. Should there be considerations and limitations that are necessary to be noted, then specify these as well. 3. 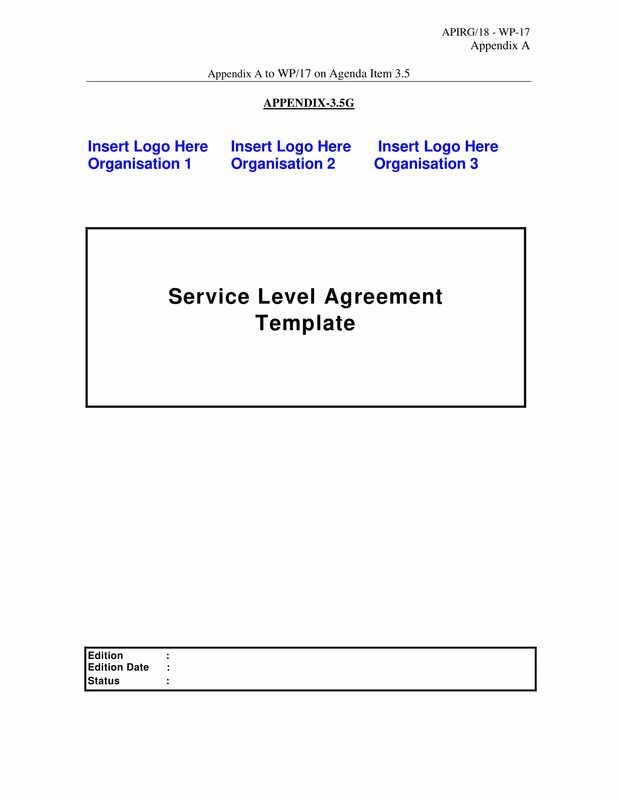 Use templates if you are not confident with your capability to create a well-formatted and professional looking agreement. Do not settle on what is already available within the template. You can always change certain layouts and content guides to make the agreement more appropriate for the discussion that you want to develop. 4. We suggest you to create a subject, a tagline, a title or a name for your agreement. Though this is not always necessary, it will still help you to easily identify the content of the agreement and the people who you will be transacting with. 5. 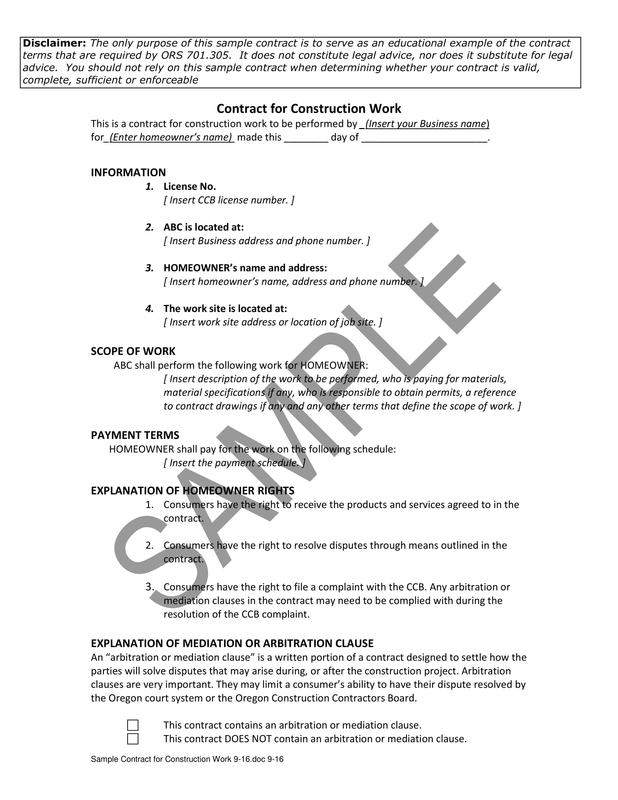 Develop checklist examples that can help you create a schedule for your agreement creation. If you will have a checklist to guide you, then you can properly implement tasks in a timely manner. This can also help you to measure the attainability of your plans when it comes to measuring your resources, time frame, and agreement content interlinking. 6. Always develop a draft first before creating the agreement. 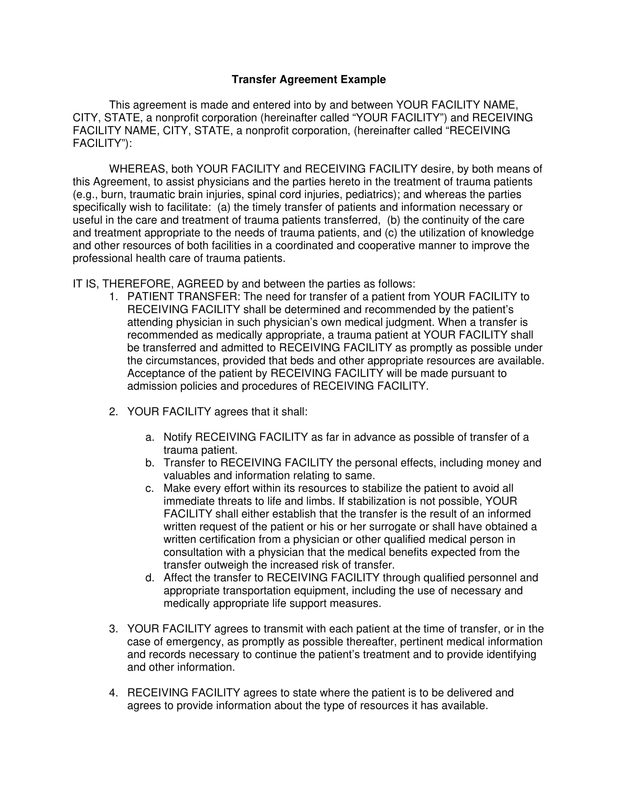 Doing this can help you organize the content of the agreement further. Moreover, this will already allow you to have an overview of the discussion flow of the document. Having a draft can help you finalize the arrangement of the information that you would like to present in the agreement. You may also see hosting agreement checklists. 7. Do not forget to include signature blocks. If all entities will sign in the area where they are expected to affix their signatures, then you can already enforce the agreement content. Always have the signatures dated for documentation purposes. Is a Written Agreement Really Important? We have already given you an idea on how agreements can come in forms of conversations, handshakes, or anything else that does not require formal writing. If credibility and trust have already been cultivated with you and the entities that you will work with, then it is your decision if you will use a written agreement or not. However, no matter how many times you have worked with the same entities, there will always be a chance that a new transaction will not be as smooth and as successful as the previous ones. If you want to really protect your business from risks and its negative impacts, then writing an agreement is highly suggested.